Load measurement file by dragging it onto the Data Sets area or File/Open. Click on the Auto button and the Start button. The steps are displayed under History. 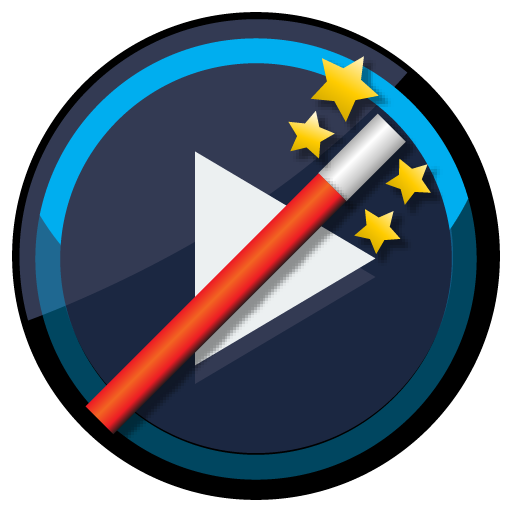 View it (if the View dialog is open) or undo it here. Save the optimized measurement file as a new file via File/Save as. 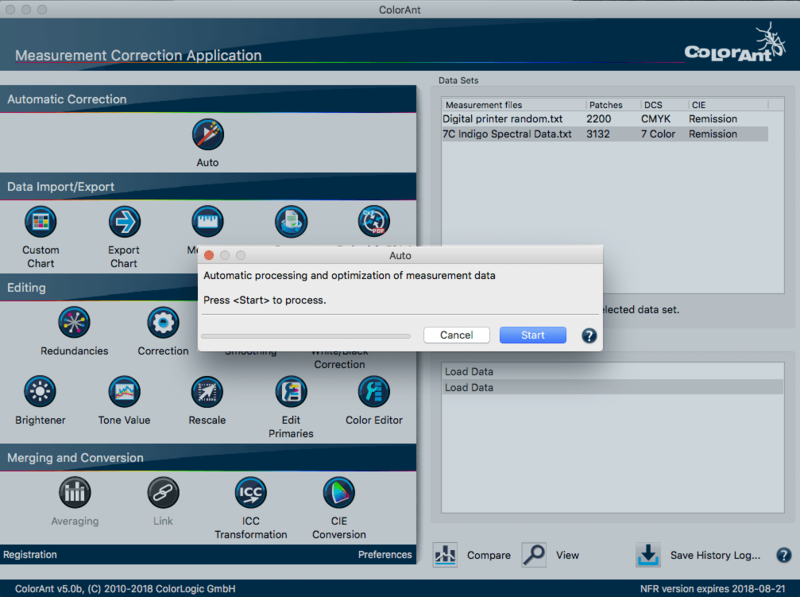 Use the optimized measurement data in profiling software such as ColorLogic’s CoPrA to create high quality ICC printer profiles. 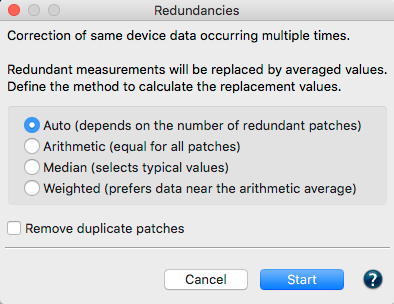 Average multiple files (in instances of multiple files with the same amount of patches, or multiple prints of the same chart) or if redundancies, correction and smoothing shall be applied. 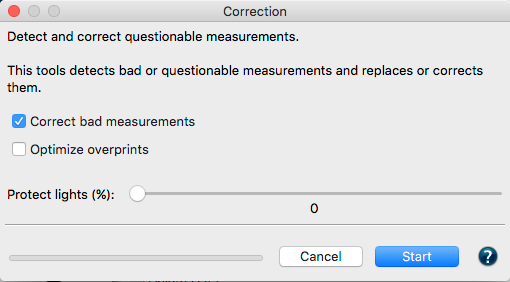 This leads to optimized measurement data leaving the characteristics of the print closest to the original which provides better profiles in the end. The screenshot below shows the settings the Automatic feature uses. Flexographic measurement data: ColorLogic recommends manually optimizing and smoothing the data. 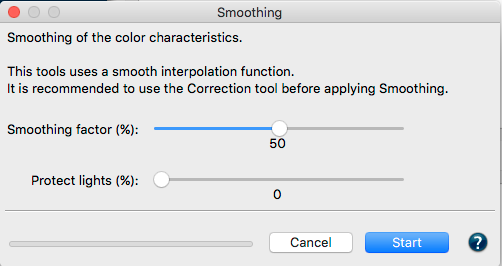 This avoids the bump curve being smoothed or changed in Flexographic data.